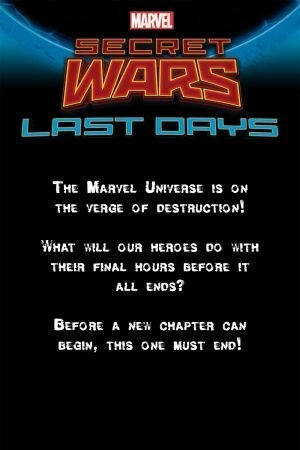 Secret Wars Spoilers Brings Stan Lee’s Marvel Universe To An End Via A Crisis Covering Last Days, Battleworld & Warzones! 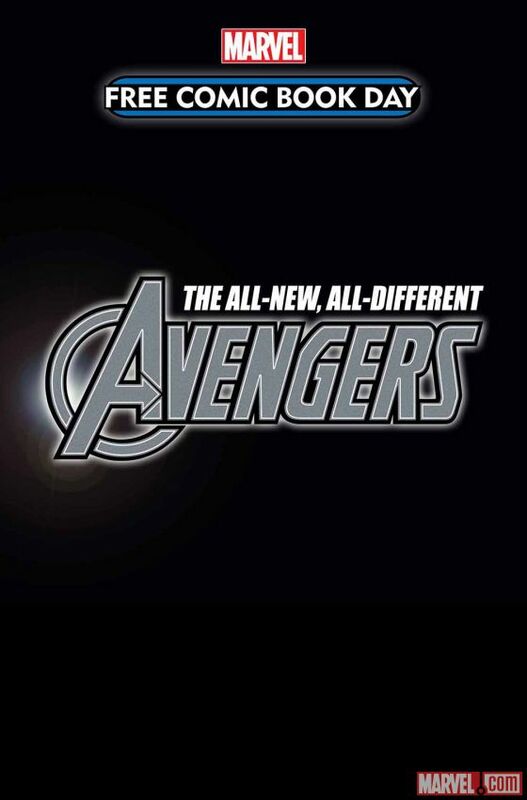 Plus The All-New All-Different Avengers For FCBD 2015! Spoilers follow straight from Marvel Comics! Building on Marvel Comics initial announcement of Secret Wars, its 13 event redux and reboot of an All-New Marvel as everything ends, comes even more info of Marvel’s 2015 multiverse event. 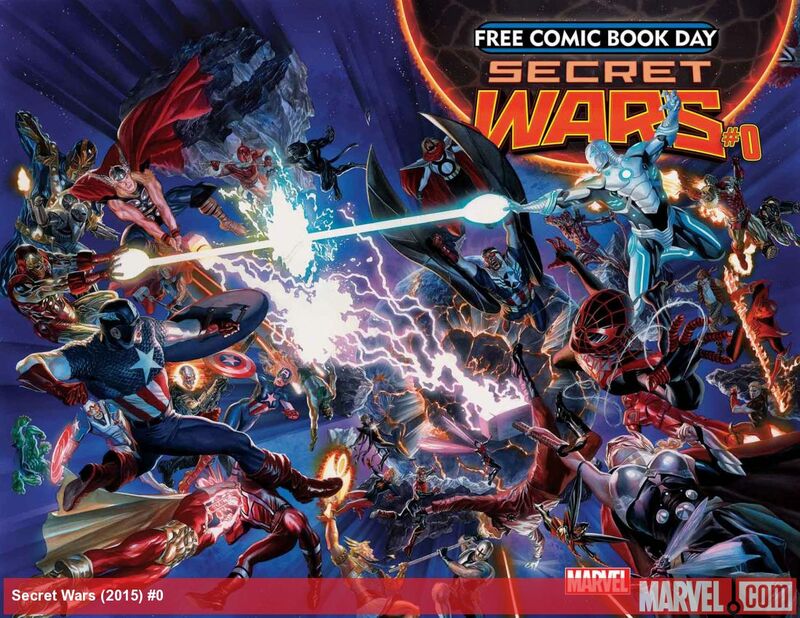 That includes a look at Marvel’s 2015 Free Comic Book Day (FCBD) offerings. 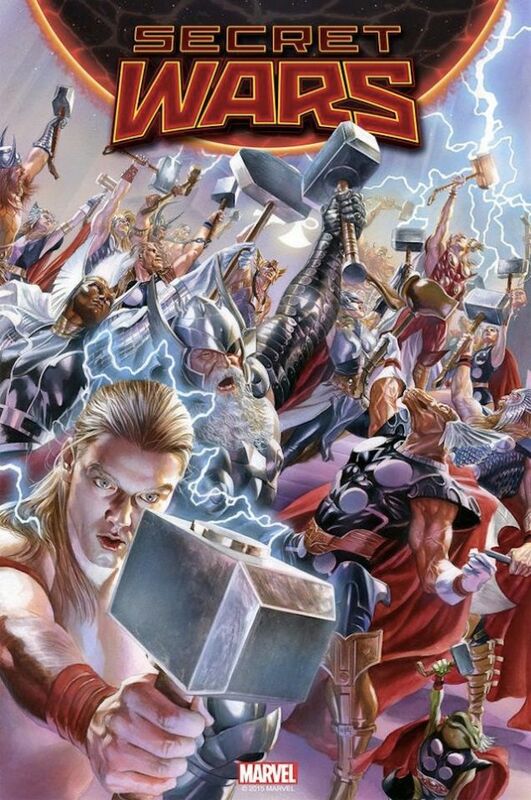 Plus the all-Thor cover to Secret Wars #2! Battleworld is set to transform the Marvel Universe as you know it. 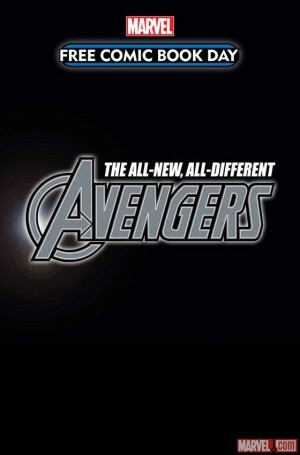 But before Secret Wars can begin, this chapter may come to a close. What will our heroes do with their final hours? What secrets will be unearthed? Who will they want to spend their LAST DAYS with? The Marvel Universe has been destroyed! One by one, each and every universe across the cosmos has been eliminated. All that exists is a new, patchwork planet made up of the remains of decimated universes. 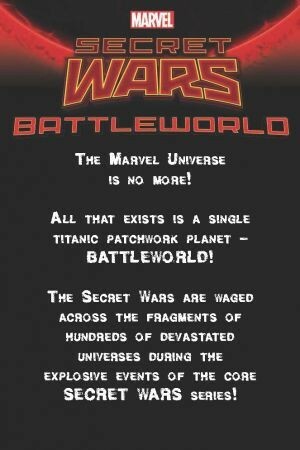 Today, Marvel is proud to announce BATTLEWORLD, which joins LAST DAYS as two of the three unique umbrella brands of titles launching during Secret Wars! Titles carrying the BATTLEWORLD banner will focus on the interworking and interaction of all the domains now fused together throughout the one and only remaining planet! The Secret Wars are waged as the last remaining fragments of dead universes fight for survival. Who rules these domains? Who comes out on top? Who lives? Who dies? What secrets are about to be revealed? Find out this may as Secret Wars enters BATTLEWORLD! The future begins here! When everything ends, there is only Secret Wars. Today, Marvel is proud to announce WARZONES!, the final umbrella of titles launching during Secret Wars! 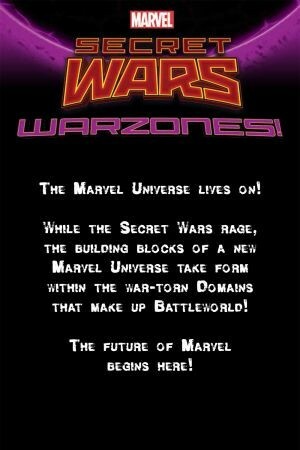 WARZONES joins LAST DAYS and BATTLEWORLD as the three different categories of titles launching throughout Secret Wars, each with their own unique type of story to tell! All that remains in the cosmos is Battleworld, the strange, patchwork realm playing host to countless realities, all existing side-by-side, fused into a single planet! Titles carrying the WARZONES! banner tell stories of the individual dominions of Battleworld. What happens within their borders? What heroes guard their skies? What villains conspire within? How does over 75 years of Marvel’s epic history play out now that Battleworld is all there is? While the Secret Wars rage on, the foundation of a new Marvel Universe take shape within the war-torn domains across Battleworld. The future of Marvel begins in the WARZONES! I’m intrigued by Secret Wars, but after generations of Marvel executives slagging DC Comics for its multiversal events, I’m curious how Marvel will do it “better” than DC has in the past or as it will do with Spring 2015’s Convergence.